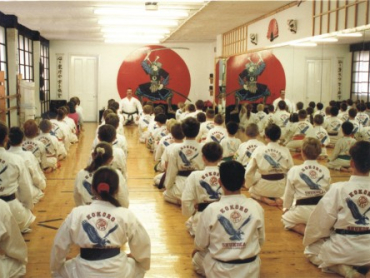 John Lynn's Black Belt Academy Kids Karate classes are perfect for any child. Along side strong martial arts lessons taught by our excellent Kids Karate instructors, every student will learn the importance of respect, self-discipline, perseverance, self-defence, and confidence. Kicking, punching, blocking, yelling - there are few sports that involve every muscle in the body like Karate. With John Lynn's Adult Karate classes you will get fit and healthy in no time. Forget about those boring gyms--the monotonous treadmills, the dangerous free weights, the crowded equipment--and sign up for our Fitness Kickboxing Classes. The coveted Black Belt results!